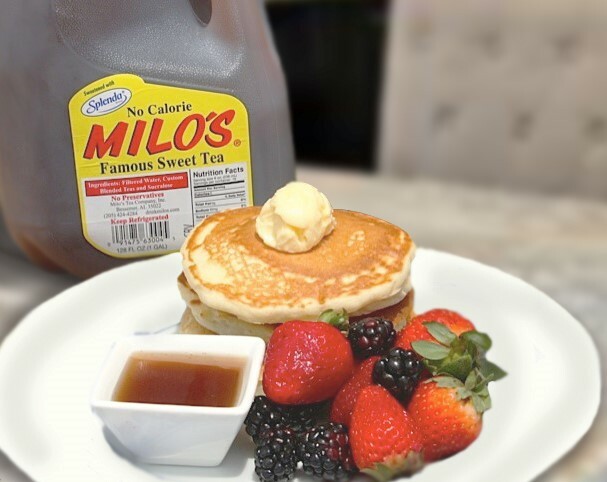 Milo’s Famous Sweet Tea Syrup - Milo's Tea Company, Inc. In a small saucepan, whisk together the Milo's Famous Sweet Tea and corn starch until no lumps remain. Turn heat to medium and slowly add the sugar. Bring to a simmer and reduce heat to low. Simmer for 10 minutes. Stir frequently. Remove from heat and let cool for 5 minutes (syrup will continue to thicken as it cools). Serve warm. Perfect over pancakes or drizzled on ice cream!